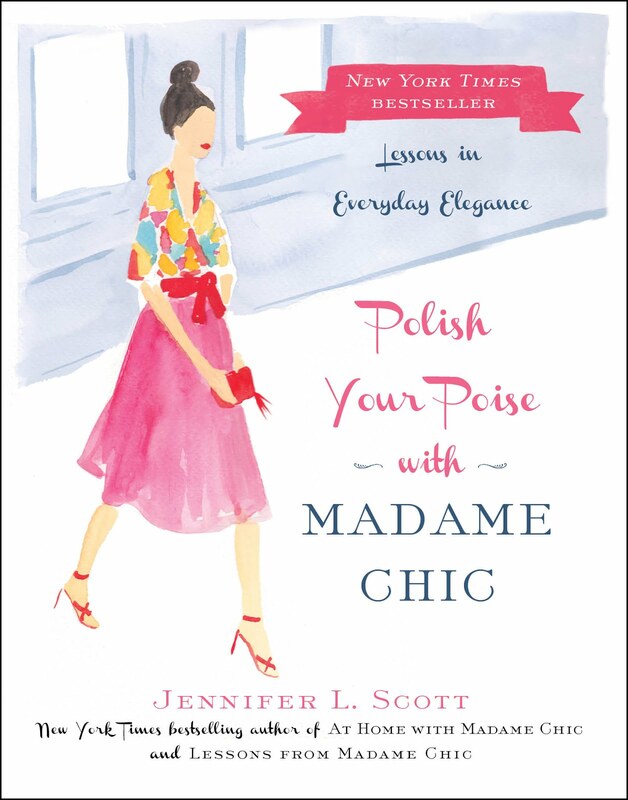 My new book, Polish Your Poise with Madame Chic: Lessons in Everyday Elegance, is now available for pre-order. The book comes out October 27, 2015 and I am so excited for you to read it. 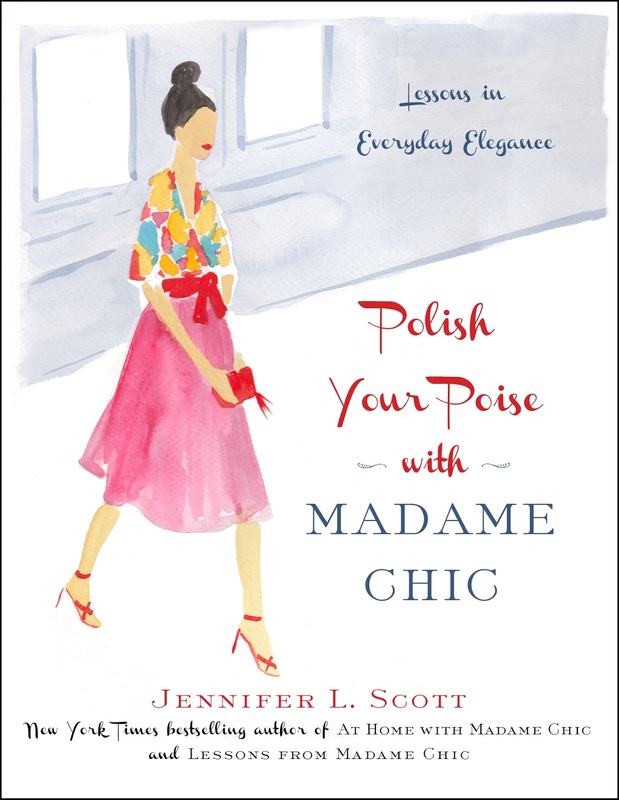 Polish Your Poise with Madame Chic encourages readers to cultivate poise as a lifelong endeavor and to thoroughly enjoy the process! Thank you in advance for your support of this book that means so much to me. See you soon! Thank you to all of the Japanese viewers who tuned into The Most Useful School in the World last weekend on Nippon Television. I had such a great time shooting the show! Here is my interview (in Japanese) with Asahi Shimbun Online. 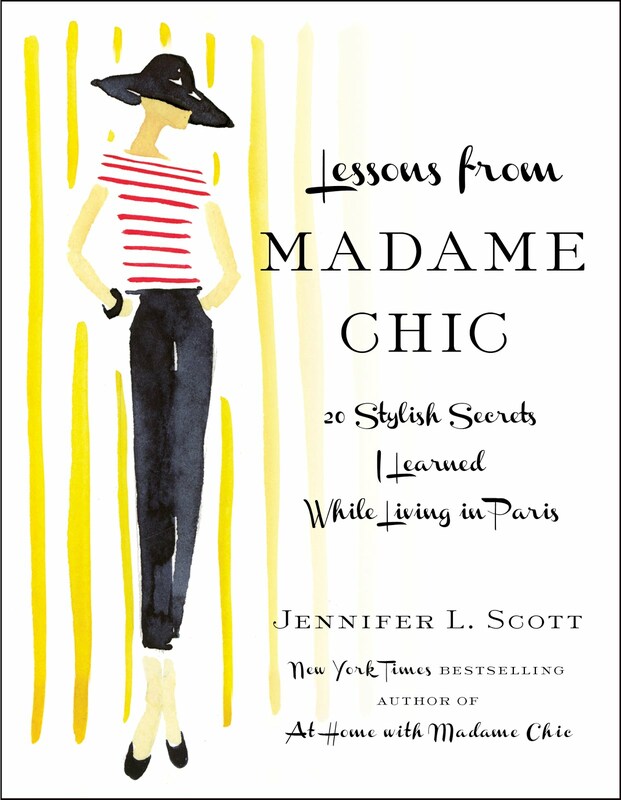 Thank you, Pink Julep, for your great review of At Home With Madame Chic. Just like our friend in rural Australia, let's feel both the excitement and nervousness that comes from making positive changes in our lives. No matter what small change you make, it can feel daunting! Take comfort in knowing that you have a community of fellow connoisseurs going through the same thing and cheering you on. Stay tuned for a very exciting announcement later this week! You wake up. It's Wednesday morning. You don't have anything particularly special on the calendar today, just the usual: school run, work, house duties, errands and school pick-up. But something has recently changed and you have decided that instead of wearing your sweat suit or exercise clothes, you are going to wear a dress today. You pick one from your ten-item wardrobe (that you are still getting used to!) and put it on, even though it feels counterintuitive to what you would normally wear for a day with "nothing special" planned. You do a quick 5-minute le no makeup look and brush your hair. Before you can change your mind and change your outfit, you step out the door to start your day. You feel different. Even rebellious. You feel brave for dressing up as you pass person after person in sloppy attire on the street. This outfit has given you the proverbial spring in your step. And then, you stop and talk to an acquaintance. "Ooohhh someone looks fancy! Where are you going?" "Wow! I love your dress. What are you doing after this?" I often get letters about this very subject. My most recent letter was from a woman who said she was inspired to dress up after reading the Madame Chic books but because of the unwanted attention she received regrettably would go back to her old way of dressing. I completely understand not wanting the spotlight on you and feeling uncomfortable with all of the questions from people asking why you are "dressed up". Here is where it is wise to pause. It's important to analyze why you feel uncomfortable with the attention and compliments and address that issue. It is also a good idea to analyze the fashion trends in society and to realize that you are not "dressing up", you are merely dressing with the standards of care in your appearance that most people don't care about anymore. Most people today dress really sloppily. These sloppy dressers are the ones who have changed, not you. You are merely dressing with dignity and choosing to look presentable as people have done for centuries. I will be appearing on Nippon Television's The Most Useful School in the World, Saturday, May 23rd at 7pm in Japan. Japanese readers, check out my interview with Yomiyuri Online. Choose one day this week and put extra thought into how you present yourself, even if you have nothing special planned. Notice how it feels to go about your usual business beautifully dressed. If you feel uncomfortable, or as though you are standing out from the crowd, analyze those feelings and push through the resistance you feel. Thank you for all of your comments on last week's post, Receive Guests Properly. There were too many great comments to choose for comment of the week so I will do another follow-up post to highlight this topic again. What a special memory... I love that you can carry this experience with you to this day and that it inspires you! This week I would love to know... have you experienced attention from dressing well? How do you deal with it? What are your thoughts on the subject? Let me know in the comment section and you could be picked as the comment of the week! 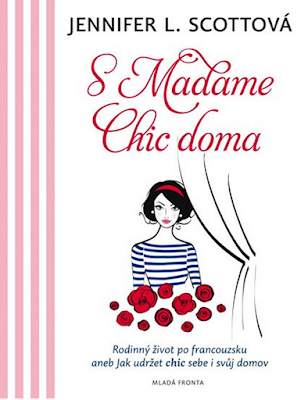 I am happy to announce that At Home With Madame Chic is now available in Italy and the Czech Republic. 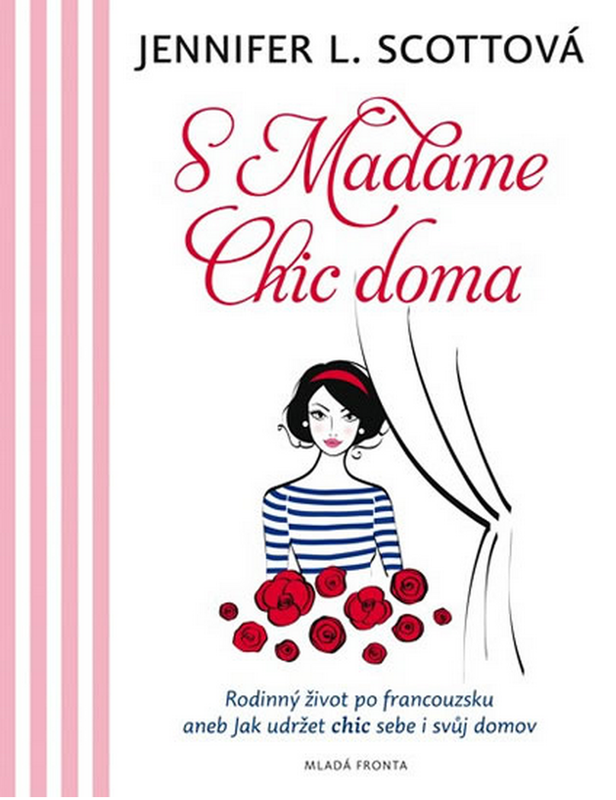 Thank you to all of the international readers who have embraced Madame Chic! One of the habits that made a big impression on me in Paris was how both Madame Chic and Madame Bohemienne loved to entertain guests. They had dinner parties at least once a week. The style of their parties varied- Madame Chic held more formal affairs and Madame Bohemienne's were more casual and spontaneous, but what they held in common were how welcome you felt as a guest. They never apologized for the state of their dress or their home or their cooking. You were always offered a refreshment, or aperitif, immediately upon arrival and were generally made to feel very comfortable. I believe it is because they had people over so often and so regularly that being a hostess was just like second nature for them. Most people have a story, whether good or bad, about a time they were a guest in someone's home. When we have guests over we want them to feel welcome right away. This week's video shares my basic guidelines for receiving guests properly. 1. Get accustomed to using your best- If you use your best on a daily basis, it won't feel awkward to do so when company comes over. 2. Shed your insecurities and don't apologize- While it's important to get your home ready for guests, don't obsess about the details. Let their knock on the door be a signal for you to drop any insecurities that you may have about the state of your home or whether or not they will like your cooking. Don't apologize for yourself, your skills or your home. Your guests are most likely just happy to have been invited over! 3. Designate a space for their belongings- Let your guests know where they can place their handbag, coat and umbrella, or place their belongings there for them. 4. Always offer a drink to your guests upon their arrival- It's easy to get caught up in the excitement of seeing your friends, but don't forget to offer them something to drink when they arrive. They might be really thirsty or would really appreciate a strong cup of coffee. 5. Provide food if your guests are visiting during a mealtime- If you are inviting people over during a mealtime (noon or 7pm, for example) you must provide them with a meal. 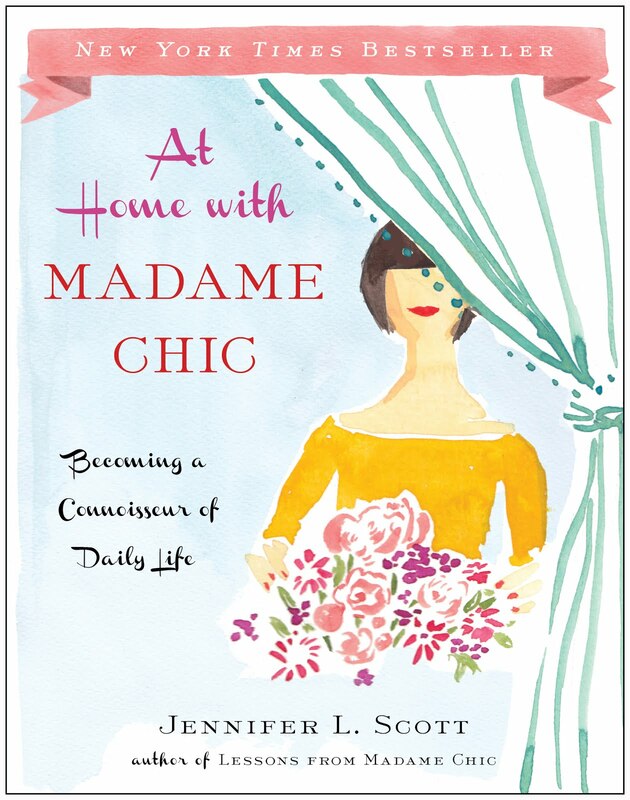 At Home With Madame Chic is going into its second printing with Simon & Schuster! Thank you readers for embracing this book on how we can live better at home. Pink Julep is bringing At Home With Madame Chic along with her on a journey. I will appear on Nippon Television's The Most Useful School in the World, Saturday, May 23rd at 7pm in Japan. Make connecting with people face to face (rather than screen to screen) a priority again. Invite a neighbor or one of your friends over for a cup of tea this week. Now in the morning when I slide open the closet door there is a sense of giddiness and excitement instead of dread or stress. What favorite outfit should I wear today? It doesn’t bother me to don the same dress twice or on one occasion three times a week because I love it so much. I have also built up my accessories to the point where I can easily change the look of dress with a belt, scarf or cardigan and it feels new. I’ve narrowed down my colors so that most things coordinate. Thanks again for the inspiration. It’s been a great life change! Shannon, I am so happy you are reaping the benefits of the ten-item wardrobe. I hope it continues to positively influence your everyday life going forward! Before we go, I would just like to say Happy Mother's Day to all of the Daily Connoisseur moms out there. I am so fortunate to have such a lovely mother who raised me well. All mothers deserve the highest accolades and respect for doing the best and the hardest job on earth. I hope you had a great weekend. This week I would love to hear about your stories as a hostess or a guest. Do you have any horror stories to share? Any wonderful experiences that left an impression on you? Let us know in the comments and you could be picked as the comment of the week! This week I show you how a small alteration can completely transform a garment, in this case, my Boden "Cate" dress. When it arrived in the mail, I loved the fit and the length, but did not love the floucy bat sleeves. I felt they weren't flattering. So I had the tailor pin back the flounce to create the perfect cap sleeve dress and now I love it! I hope this video inspires you to take your "off the rack" purchase and tailor it to make it one-of-a kind and perfect for you. Go through your lingerie drawer this week and get organized. Discard any old or over-worn items and arrange your nice undergarments beautifully. Make a note of where you need to make purchases (new slips, stockings, shapewear, etc.) and keep this list in mind the next time you are able to buy. Amy G. from Texas asks if shorts can ever be chic and classy. I say, yes! Certainly not the ripped, cut-off variety, but tailored shorts can look very chic. If you are not comfortable in short shorts (and I don't know many people who are) consider a longer short. Tuck in your blouse and wear them with a belt and a nice sandal for a presentable look. If you feel self-conscious about your bare legs consider wearing them with stockings. 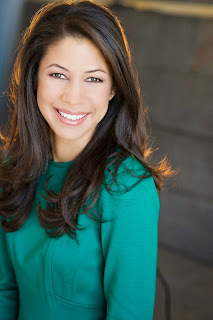 You may enjoy reading the book by Japanese skin care guru Chizu Saeki called The Japanese Skincare Revolution: How to Have the Most Beautiful Skin of Your Life--At Any Age. That was where I first was introduced to those thin cloths as well. She says applying toner ("lotion" in Japan) with those cloths helps it sink in more and plumps up/nourishes the skin more than a quick swipe with a cotton round. I think she says in Japan their toners are more nourishing/moisturizing than the standard stripping American type toner. I love that she talks about not needing to buy the most expensive skin care products, because she says you can often make a $10 skin cream act like a $100 skin cream if you use it carefully (warming the cream between your fingers before application, pressing the product into skin, etc.) It's a quick but great read. Thank you for this recommendation Amy. It sounds like a great read! Japan viewers: I will appear on Nippon television's The Most Useful School in the World, Saturday May 23rd, 7pm. **This is the last video you will ever see shot in our town home as we recently sold it! Yes, the Connoisseur family is looking for a new home in Santa Monica. 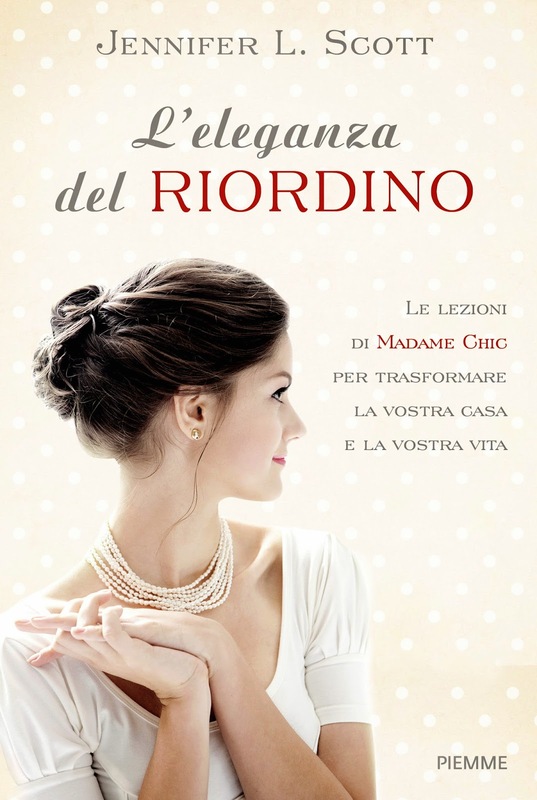 Ruby's Musings concludes her thoughts on Lessons from Madame Chic. 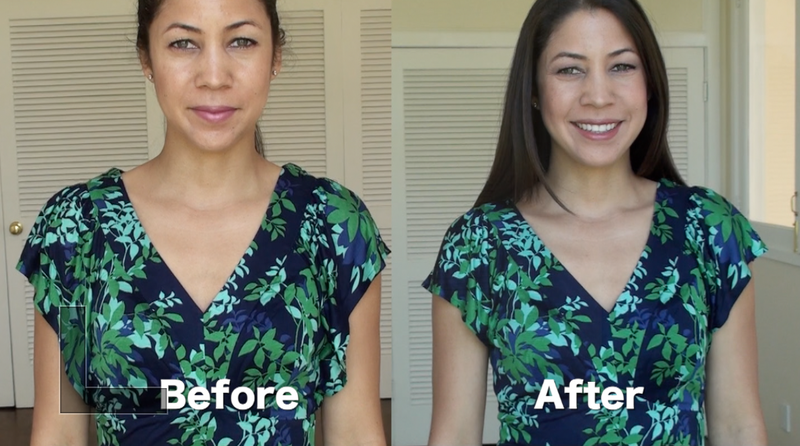 I would love to hear your thoughts on the tailored dress featured in this week's video. Have you tailored any of your clothes recently? How is your ten-item wardrobe coming along? Let me know and you could be featured as the comment or question of the week!